The Official Synopsis for Spike Lee's 'OLDBOY' Remake! 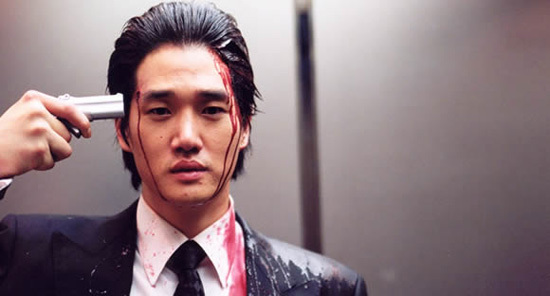 The official plot synopsis for Spike Lee's upcoming remake of Park Chan-wook's 2003 Asia Extreme flick Oldboy has been released [via Collider.] The new English language adaption which comes via Lionsgate does sound a lot like the original. Starring Josh Brolin, Lee's Oldboy begins production early next year with a 2013 release. Synopsis: "A man kidnapped and imprisoned on his daughter’s birthday is held captive for fifteen years. Upon his release he embarks on an obsessive mission to find the reason for his imprisonment and soon finds out that his kidnapper has plans for him more tortuous than solitary confinement." I'm reading: The Official Synopsis for Spike Lee's 'OLDBOY' Remake!Tweet this!